Share an exciting evening of networking with business owners and professionals from throughout the Tampa Bay Area. During this meeting, we will be honoring our Woman of the Year and awarding our scholarships! Join us for great food, a silent auction and drawings for awesome prizes! 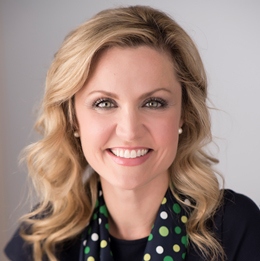 Jessica Muroff is the Chief Executive Officer for Girl Scouts of West Central Florida which serves more than 19,500 girls and nearly 8,500 adult members in Citrus, Hernando, Hillsborough, Marion, Pasco, Pinellas, Polk, and Sumter counties. Girl Scouts have had a lasting and life-changing impact on girls for more than 100 years, and it is Jessica’s vision to guide and inspire her staff to continue to be the high-impact, relevant, and innovative organization dedicated to the advancement of girls. Experience the power of connecting while helping others. All proceeds from the evening will support the scholarship program of the Tampa Bay BPW Foundation, serving individuals in the Tampa Bay area. Since 1991, the Foundation has awarded more than $142,000 in scholarships. Proceeds benefit the Scholarship Fund of the Tampa Bay BPW Foundation.